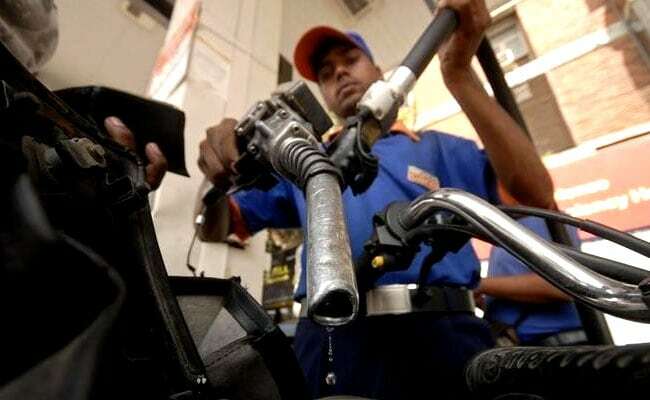 The oil marketing companies (OMCs) on Sunday cut the petrol prices for the fourth straight day. On Sunday, petrol prices fell between 14 to 17 paise in metro cities. After the price cut, the petrol prices now stand at Rs 75.79, Rs 78.47, Rs 83.44, Rs 78.65 in Delhi, Kolkata, Mumbai and Chennai, respectively. The new fuel rates were made effective from 6 am onwards today, mentions the Indian Oil Corporation (IOC) website. In the national capital, petrol prices declined by 14 paise a litre. In Kolkata, petrol prices fell by 14 paise, in Mumbai, the prices declined by 17 paise and in Chennai, the costlier fuel price came down by 15 paise. Similarly, the diesel prices fell by 7 paise in Delhi and Kolkata, by 11 paise in Mumbai, and by 7 paise in Chennai. Now, the diesel sells for Rs 67.54, Rs 70.09, Rs 71.76 and Rs 71.29 in Delhi, Kolkata, Mumbai and Chennai, respectively. In past few days, petrol, diesel prices have continuously been cut on a regular basis. In the past one week, petrol prices have fallen by Re 0.56 and by Re 0.99 in two weeks in Delhi. Since May 29, petrol has come down by Rs 2.64. Similarly, diesel prices fell by Re 0.24 in past one week, by Rs 0.56 in two weeks and by Rs 1.77 since May 29. On Friday, OPEC agreed on a modest increase in oil production from next month after its leader Saudi Arabia persuaded arch-rival Iran to cooperate, following calls from major consumers to curb rising fuel costs.